The Julien Wilson Trio was formed in 2004 and received glowing reviews in the Sydney Morning Herald and The Age for their premier performances at Sydney’s Jazz:Now Festival and Melbourne’s Half Bent Winter Jazz Festival. They are featured on the albums while you were sleeping (2006) and Trio-Live (2007). They have performed sold out concerts at the Berlin Jazz Festival, Sydney Opera House and Melbourne International Arts Festival, and appeared at festivals in Jakarta, Korea, New Zealand, and throughout Australia. While the instrumentation of the group often invites “French” connotations, the band are all heavily influenced by Brazilian & Argentinean music forms. Despite this love of South American music, the band revels in rubato playing and have created an incredibly intuitive style of unified phrasing. In 2006 they undertook a three-week European tour supported by funds from Wilson’s Freedman Fellowship. There is a chapter dedicated to the trio in John Shand’s book “Jazz: The Australian Accent” and they were the feature of a one-hour documentary produced for Korean TV in 2009. 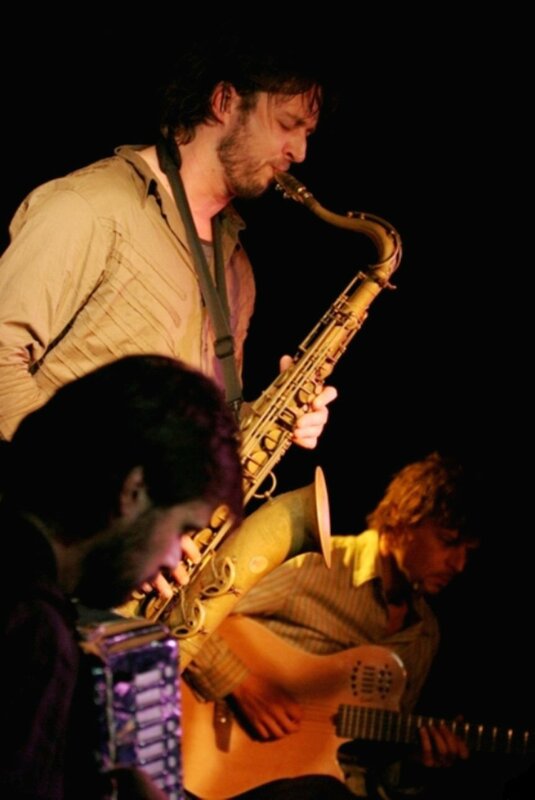 They were finalists for The Australian Jazz Award for Best Australian Jazz Ensemble in 2009, 2008 and 2004, finalists for Best Australian Jazz Composition and Best Contemporary Jazz Album in 2007. Their album Trio-Live was the result of them being invited to perform as part of ABC FM’s ‘Jazztrack’ 30th Anniversary Concert in February 2007. Vince Jones collaborated with them at the 2011 Stonnington Jazz Festival and has written lyrics for some of the trio’s original compositions, one of which, Rebellious Bird, appears on Vince’s 2010 album, Modern Folk. The trio has a mesmerizing effect on audiences, moving from serene to jagged to dense to angelic in a single breath. Swailing, the follow up album to the immensely popular Trio-Live is due for release in early 2014. The new album utilizes the recording studio and an expanded palette of instruments and sounds to take their music in new directions. Since their last album the trio has expanded their repertoire to include material by Ellington, Ornette, Fats Waller, Hermeto Pascoal, and even Jules Massenet.